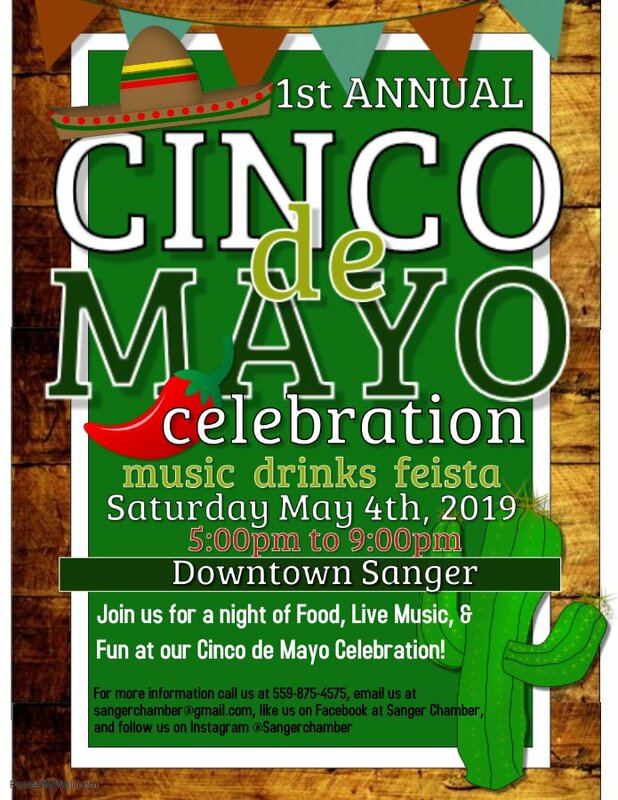 Looking for something fun to do this Cinco de Mayo? Come and join us on the 4th of May to our celebration. Located in downtown Sanger on 7th Street. 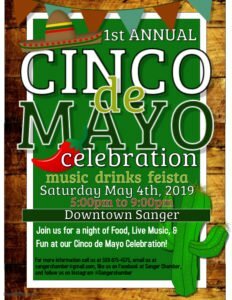 Enjoy our Beer Garden featuring micheladas and margaritas and live music for everyone to enjoy! Tons of fun things to do including bull riding and food vendors from 5:00pm to 9:00pm! Want to become a vendor for this event? Follow the link below to register limited spacing so apply right away!